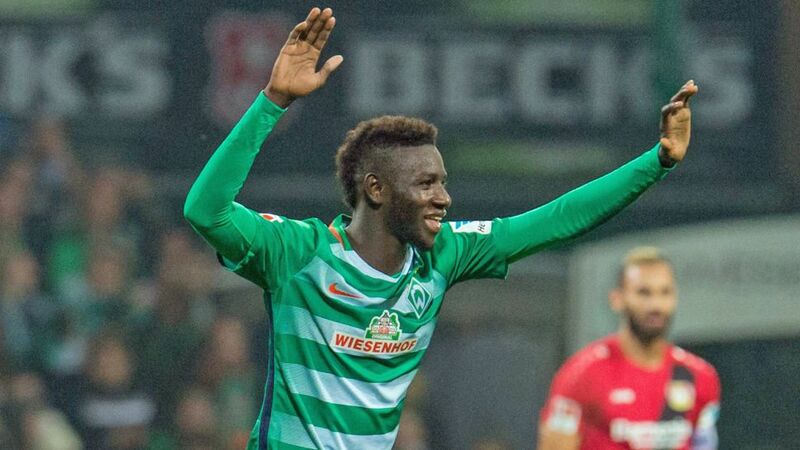 Werder Bremen's Ousman Manneh's first Bundesliga goal proved to be the winner over Leverkusen. The first Bundesliga goal is a milestone for any player. It takes hard work to fight through a thicket of other young hopefuls to get to the first team, and even more effort to get sent onto the pitch. The first time a young player’s shot beats the opposing keeper, he fulfills a childhood dream. Except for Ousman Manneh, it’s much bigger than that. Manneh has 31 points and an in-game value of 4.1M. Snap him up for your Official Fantasy Bundesliga team now! Manneh spent the first 17 years of his life in Gambia, a tiny and poor West African nation ruled by a dictator who’s been in power since before Manneh was born. A talented footballer, Manneh knew that his troubled home country held no future for him. Leaving his family behind, he set out for Europe, ending up as an asylum seeker in Germany, where he settled in a home for refugees in Bremen. He played football with Blumenthaler SV, a club in Bremen’s local amateur league, but his obvious talent as a goalscorer soon drew attention from much bigger clubs. SV Werder Bremen won the race to sign Manneh, and after a season with coach Alexander Nouri in the club’s youth ranks, both men have moved up to the senior side - with success. In the last four games under Nouri’s charge - all four of which Manneh has started - Werder have picked up seven points and Manneh has notched two assists... and now a goal. bundesliga.com: Congratulations on your first Bundesliga goal. Can you describe how you’re feeling at the moment? Ousman Manneh: First off I have to thank the fans. I’m standing here and I don’t even know what’s happened. I don’t know if I really did score a goal or if that was just a dream. It’s an indescribable feeling, especially to score the winner against a team as good as Bayer Leverkusen. I just can’t believe it. Manneh: I’m so surprised at how everything has gone. I really have to thank coach Nouri for believing in me and giving me the opportunity to play on the big stage. And I need to thank the whole club for all the support they’ve given me too. Head to our brand new Match Centre for more on SV Werder Bremen's 2-1 win over Bayer 04 Leverkusen.